Located just 45 minutes east of San Francisco with a striking background of rolling hills and vineyards, Livermore Valley’s Wente Vineyards creates a picture-perfect setting for the full-day music festival. Guests will enjoy live music on the lawn, acoustic performances, and a variety of award-winning Wente Family Estates wines. An avid proponent for supporting the local community, Wente Vineyards will feature regional food vendors at the festival, including Ken’s Wood Fired Pizza andGhirardelli Chocolate. Additionally, a portion of the event’s profits will go in support of the Wente Foundation for Arts and Education, the Wente family’s organization that financially supports arts programs and creates opportunities for talented children and students across the country. 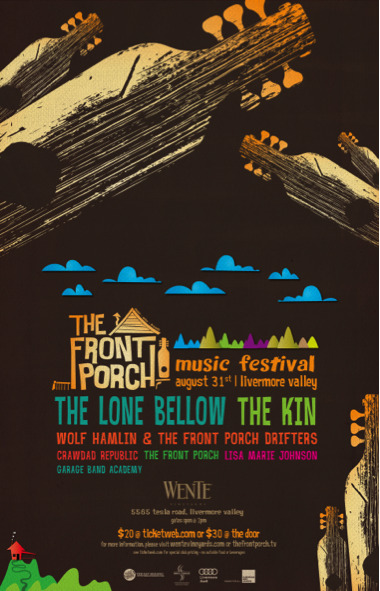 The festival will be held on August 31, 2013 at the Wente Vineyards Estate Winery & Tasting Room (5565 Tesla Road, Livermore, CA 94550) from 2pm – 9pm. Food, wine and beer will be available for purchase; no outside food or drink is allowed. Tickets for the unbeatable lineup are $20 in advance and can be purchased atTicketWeb.com; tickets will be available to purchase at the door for $30. This event is for ages 12 and up only. Founded in 1883, Wente Vineyards is the oldest continuously-operated, family-owned winery in the country; owned and managed by the fourth and fifth generations of the Wente family. The winery draws from nearly 3,000 acres of Estate vineyards in the Livermore Valley, San Francisco Bay and Arroyo Seco, Monterey appellations to create an outstanding portfolio of fine wines. Wente Vineyards is distributed in all 50 states and in over 70 countries worldwide. In 2010, Wente Vineyards was among the first wineries to receive the Certified California Sustainable Winegrowing designation, and one of the only wineries to certify every aspect of its business. In 2011, Wente Family Estates was named American Winery of the Year by Wine Enthusiast and a top 30 wine company by Wine Business Monthly. 2012 marked the 100th anniversary of the Wente family bringing Chardonnay cuttings to California. Today, the Wente clone of Chardonnay is the most widely planted in California. This year, the winery celebrates its 130th anniversary. For media inquiries, please contact Skye Morgan of Charles Communications Associates at press@charlescomm.com or 415.701.9463.